Now that the holiday season is here, I am all about cranberries. I simply love the tartness of them and I think they are just adorably cute too. However, I am the only one in the family that loves these little berries. When I make cranberry sauce, I am the only one who eats it. If I bring out the canned stuff, then it gets devoured. I don’t understand why? I think it’s a childhood thing? But fresh cranberries are just amazing. 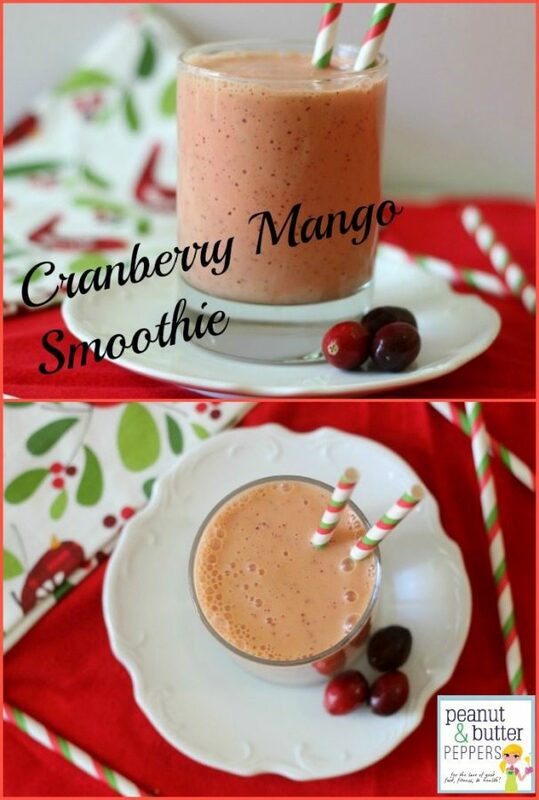 So today, I thought I would share with you my latest holiday smoothie, Cranberry Mango. Yummy! 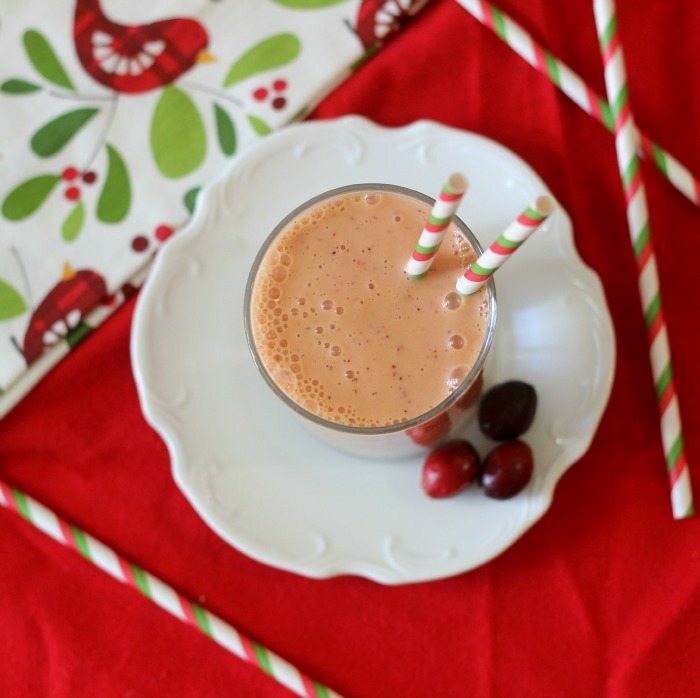 This smoothie is creamy, smooth and a tad tart and you get the perfect balance of cranberry with just a hint of mango and finishes off with a vanilla flavor. 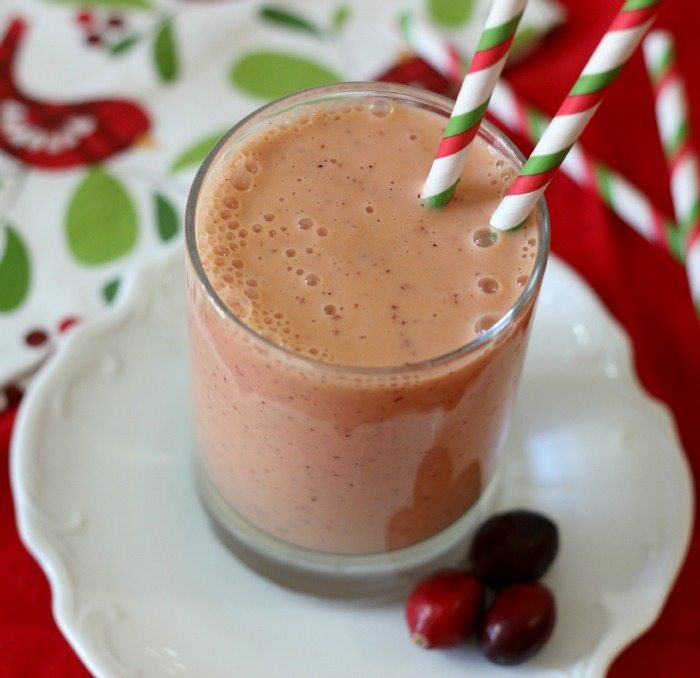 I added a few fresh cranberries to the smoothie to give it the red specks and to add more color to the smoothie. The color of the smoothie is not as pretty without the cranberries. If you do add fresh cranberries to it, taste test it prior to serving. You may want to add some honey to it to sweetened it up a bit. For the smoothie, I used cranberry juice, frozen mango, Tillamook Vanilla Greek Yogurt and fresh cranberries. This flavor combo is simply perfect together. I have made mango cranberry sauce and it’s so good. 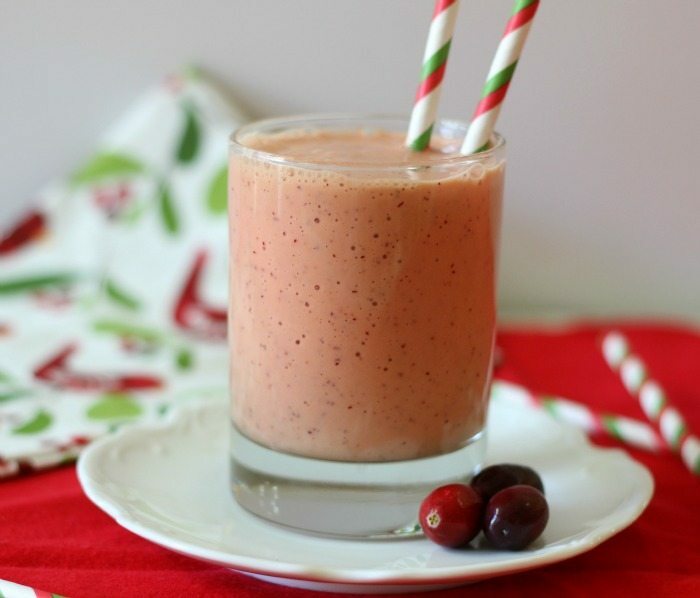 Cranberry and mango really do go well together. It’s funny, no matter what time of the year it is, I really love my smoothies. It’s actually been a while since I made one. I figured I should start having them again for my breakfast. It helps fill me up, so I stay away from the snack bowls at work. This time of the year it is so hard to be good when it comes to eating. A slightly tart, creamy smoothie that has hints of mango and finishes off with a vanilla flavor. 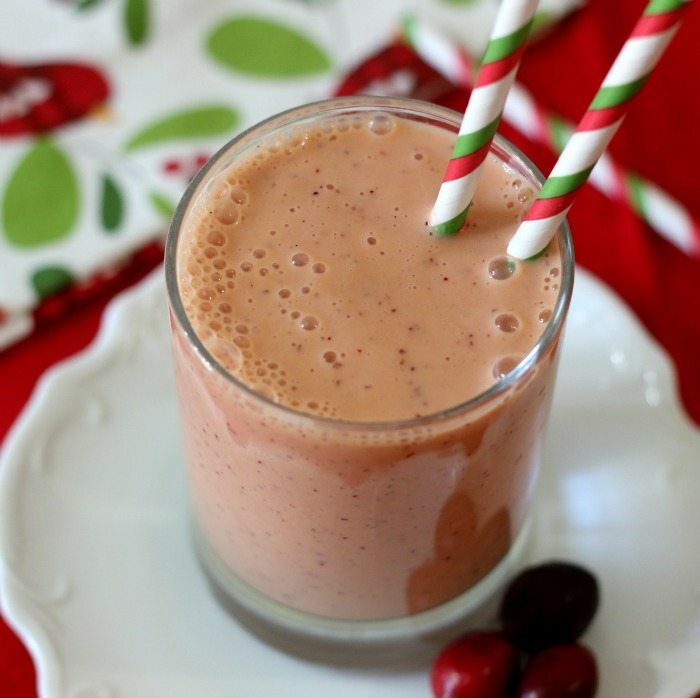 Fresh cranberries are added to the smoothie for the red specks and color. add all ingredients together in a blender and process until smooth. You can make this less calories by using a light cranberry juice and a low calorie vanilla yogurt. I also wanted to share with you the new Almond Milk Smoothies from Jamba Juice. I went there over the weekend for a little test tasting. 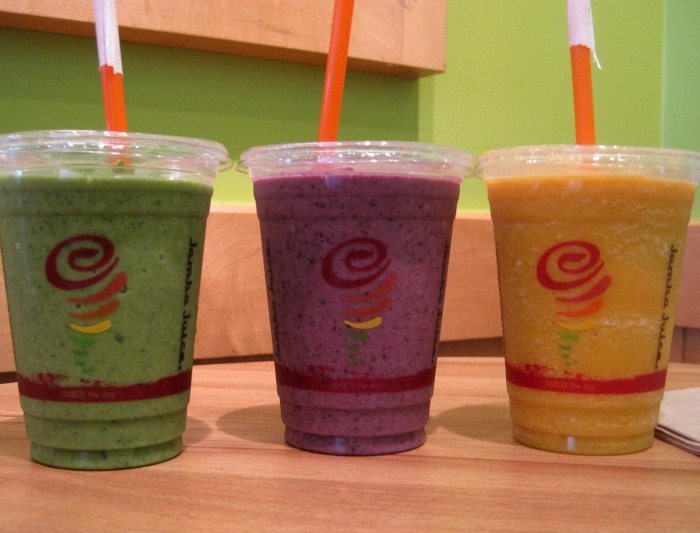 The smoothies come in 3 flavors; Match Green Tea, Peanut Butter and Berries and Pumpkin. The first one I tried is the Match Green Tea. At first I thought I wouldn’t like this one, but it actually was my favorite. It’s thick, creamy and had a great green tea flavor with a hint of banana. The smoothie contains kale, but I didn’t even taste it. That’s pretty good, considering I don’t like kale. The second one I tried was the Peanut Butter and Berries. I thought this would be my favorite, but it wasn’t. It was very good and tasted just like a peanut butter and jelly sandwich. I thought the peanut butter was a little strong in the smoothie, but all in all if your a peanut butter fan, you will love it! The last one I tried was the pumpkin. This was so good! It tasted like a pumpkin pie. It’s creamy, with the perfect amount of spices. I took my Husband with me and for the man who doesn’t like pumpkin, he took this smoothie and ran with it. I only got the sip of it, but it was a glorious sip. 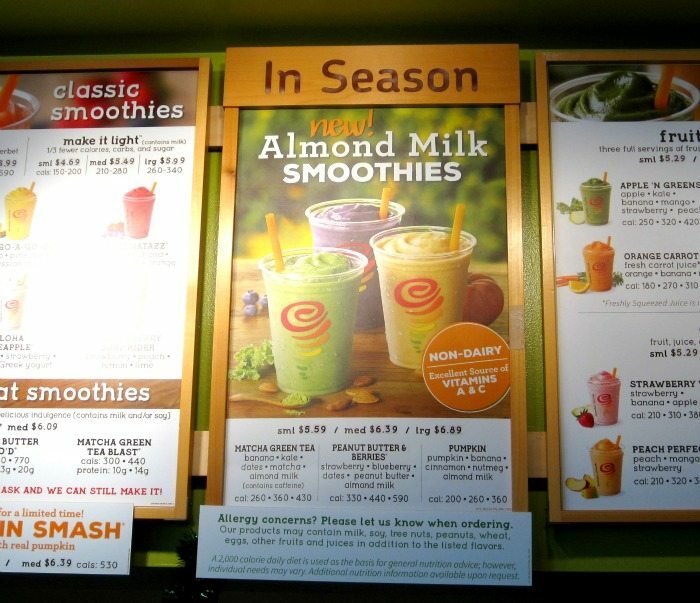 Next time you stop by Jamba Juice, try out the new Almond Milk Smoothies. By the way, I’m not a fan of almond milk and my Husband or I didn’t even notice. These smoothies are super good and I am going back for the Match Green Tea one and probably the Pumpkin, since I only got a sip. Well Guys, I am off. I have so much to do today. Time goes way to quickly.